Many thanks to my family, friends and followers of this blog, for your continued encouragement and support for "Cooking With Shobana" over the last 5 years. Today happens to be the 5th anniversary of this blog, which has been my passion since it's inception. 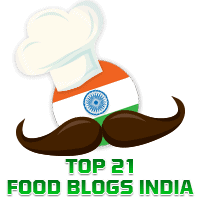 100 Top Indian Foodblogs and Websites, a list that is updated from time to time. Since I had some strawberries handy, I decided to make halwa (an Indian sweet) which is quite easy to make. 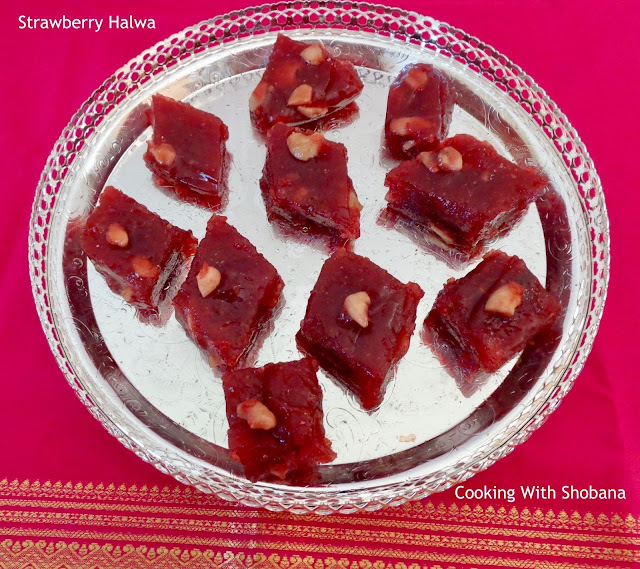 Today's dish is adapted from "Strawberry Halwa" from my friend Aparna Bhat's popular blog called, "Flavors n Colors." The amount of sugar needed depends on the sweetness of the strawberries you use, as also your individual taste. 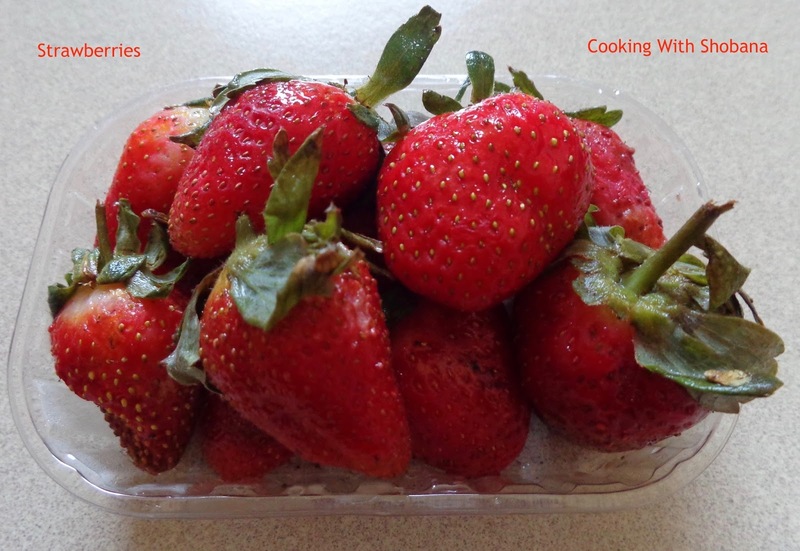 Wash the strawberries and discard their tops. Chop the strawberries, place them in a mixer and make a puree (without adding any water) and keep aside. Break the cashewnuts into pieces. Combine the cornflour with half a cup of water to form a mixture making sure that no lumps are formed. Add the strawberry puree to the cornflour mixture and mix thoroughly. Heat a thick bottomed pan add the sugar and 1 cup of water, mix well and keep stirring on medium heat till the sugar is dissolved. Cut the strawberry halwa into the desired shapes and garnish with a few nuts.